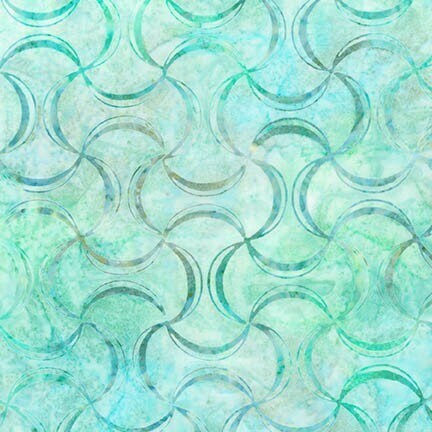 Robert Kaufman, this cotton print fabric features beautiful teal Drunkards Path design on a light green background. Sold by the yard (36"x44"). Purchases of more than one yard will be shipped in one continuous cut. Machine wash cold with like colors, tumble dry low.